One day, this could allow us to successfully freeze humans. Cryopreservation is the process of freezing organs and tissues at very low temperatures in order to preserve them. While it sounds simple in theory, only a handful of cells and tissues have survived this method. This is because while science has successfully developed ways to cool organs to the very low temperatures required for preservation, thawing them out has proven far more difficult. As the specimen thaws, it forms ice crystals, which can damage the tissue and render organs unusable. Right now, the process is only a viable option for small samples, such as sperm or embryos. Previous efforts using slow warming techniques have proven to be effective on samples of that size, but haven’t worked for larger tissue samples, like whole human organs. The inability to safely thaw the tissue has also precluded the theoretical concept of cryogenically preserving entire human bodies, with the intention of reanimating them later. 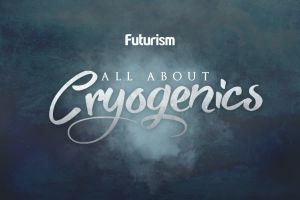 The concept has roots in cryogenic technology, but is actually referred to as “cryonics”, and the scientific community generally considers it to be more science fiction than science fact — at least for the time being. A recent study has made a significant breakthrough which may well begin closing that gap even more. Using a new technique, scientists were able to cryopreserve human and pig samples, then successfully rewarm it without causing any damage to the tissue. This is the first time that anyone has been able to scale up to a larger biological system and demonstrate successful, fast, and uniform warming of hundreds of degrees Celsius per minute of preserved tissue without damaging the tissue. By using nanoparticles to heat the tissues at an equal rate, scientists were able to prevent the formation of those destructive ice crystals. The researchers mixed silica-coated iron oxide nanoparticles in a solution and applied an external magnetic field to generate heat. The process was tested on several human and pig tissue samples, and it showed that nanowarming achieves the same speed of thawing as the use of traditional convection techniques. One theoretical application for this discovery would be, of course, bringing cryogenic life-extension techniques out of the realm of science fiction and into reality. But we’re not quite there yet. A more practical application for the technique would be to safely preserve and store organs for extended periods, thus improving the logistical challenges behind organ transplantation. According to statistics from the United Network for Organ Sharing, 22 people die every day in the US while waiting for organ transplants. Contrary to popular belief, this isn’t because there is a shortage of organs being donated — it’s because organs cannot be preserved for more than a few hours. So, while there are available organs ready to be transplanted, the time it takes to find a matching recipient and transport the organ safely to their location often exceeds the window of time in which the organ remains viable for transplant. Over half of donated hearts and lungs are thrown out each year because they don’t make it to patients in time. They can only be kept on ice for four hours, and while some organs can last longer than others without a blood supply during transport, it’s still not a long enough in many cases. “If only half of these discarded organs were transplanted, then it has been estimated that wait lists for these organs could be extinguished within two to three years,” Bischof adds. With the help of cryopreservation technology, we may be well on our way to keeping donated organs viable for longer — meaning they could be transported to patients who need them even if distance and time stands between them.